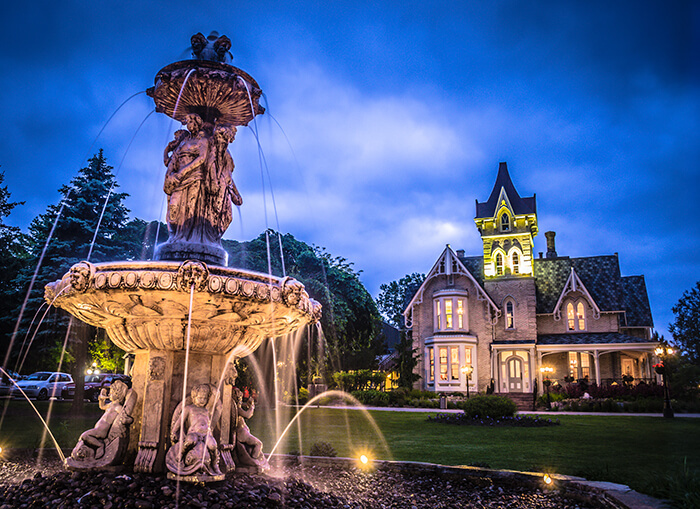 Georgetown Historic Inn recalls Victorian times on PEI. 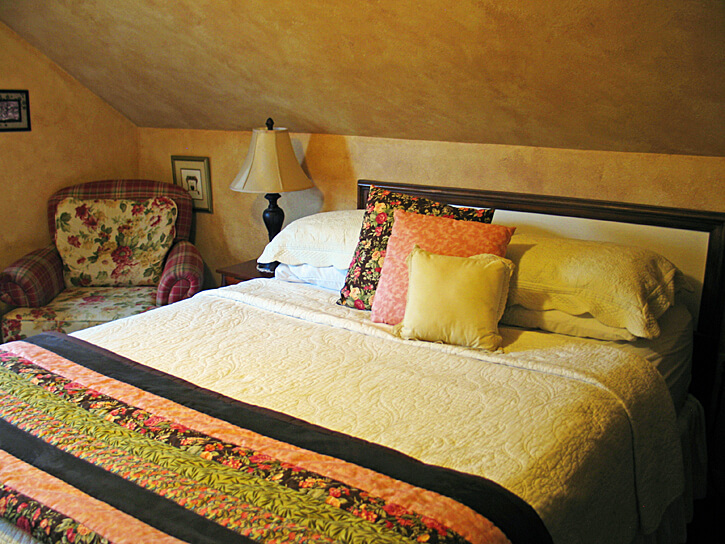 Tucked under the handmade quilt covering my bed under the steeply pitched gable roof of the Georgetown Historic Inn, I could imagine myself as Anne Shirley, settling in on her first night in an attic room at the farmstead called Green Gables on Canada’s Prince Edward Island. OK, there was one key difference: my stay included access to indoor plumbing — something the heroine of the iconic novel (written in 1908) didn’t enjoy. Anne didn’t have free WiFi either, a perk that’s become somewhat of a travel necessity in modern times. 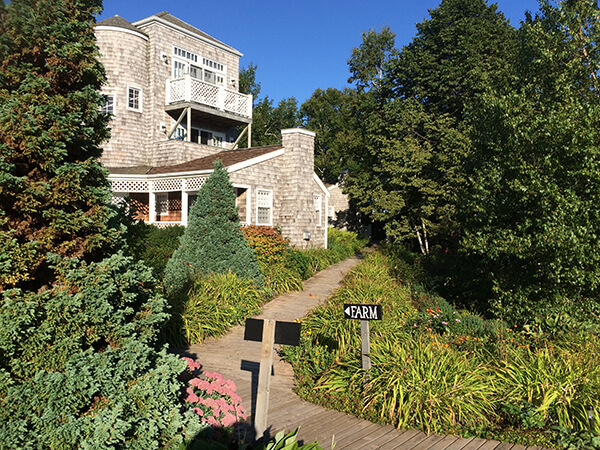 Yet, the inn is steeped in PEI history, like the fictional Avonlea imagined by L.M. Montgomery. 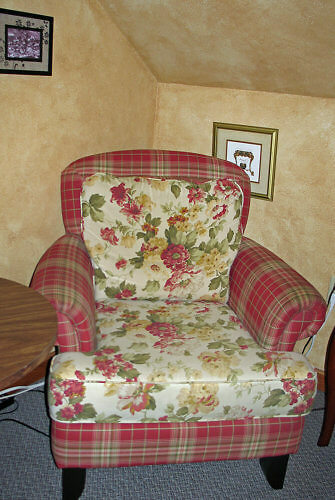 The furniture reminded me of my grandmother’s house — fusty, cozy, comfortable and of indeterminate age. 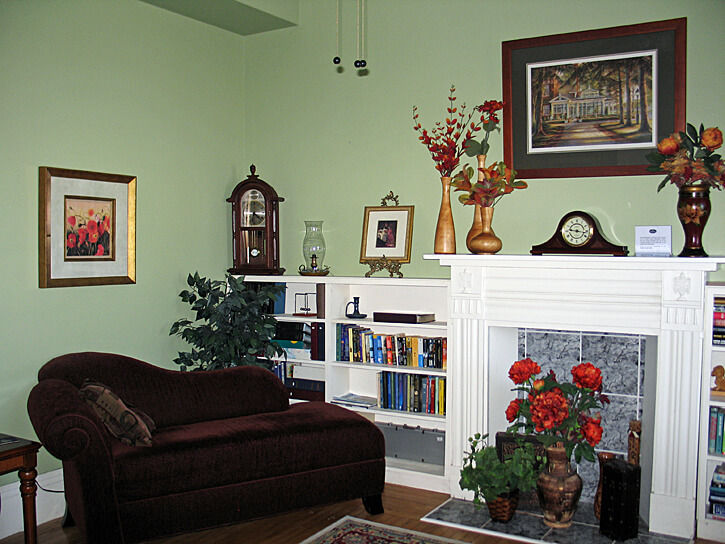 Framed pictures on the wall and propped on the mantle of the closed-off fireplace showed Georgetown over the last century-and-a-half. My window had a tree-top view of the historic eastern shore harbor on PEI, one of Canada’s Atlantic Maritime provinces. The region, originally inhabited by First Nations people known as Mi’kmaq, was colonized by the French in the early 18th century and then the British, drawn there by the deep natural harbor that (because of prevailing winds and tide directions) could be used year-round. The port became the eastern terminus of the Prince Edward Island Railway and once had regular steamship service to Pictou, Nova Scotia (where freight continued on the Intercolonial Railway). 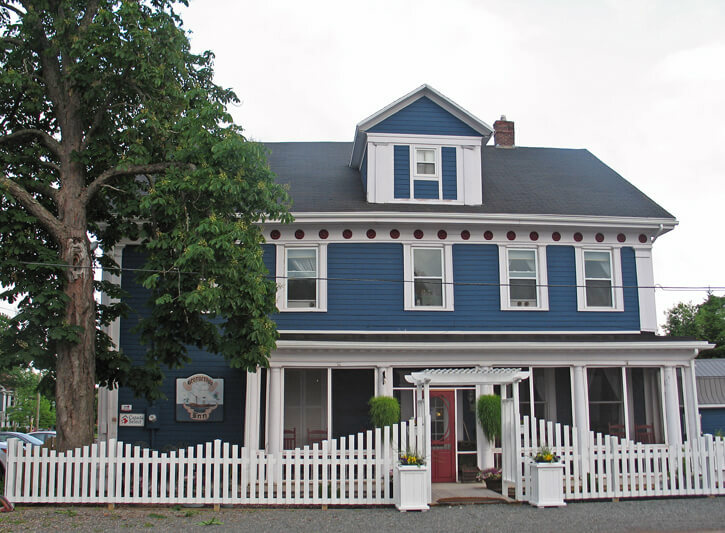 The Georgetown Historic Inn was built in 1840 as a residence for a prominent shipbuilder and politician who emigrated from Scotland. Over the years, it had been turned into a warehouse, hardware store and (shudder!) vacant property — but for the last couple of decades it’s been an inn. In 2003, it was officially enrolled under the Heritage Places Protection Act. A restaurant – Three Rivers — was added in 2014 under the current owners, Rhonda and Aubrey Brown. You may think that an inn with a restaurant is unexceptional — except Georgetown is a hamlet with 693 residents (even though it’s home to PEI’s largest sawmill, a shipyard building wooden tugs, and a seasonal seafood plant). The inn also boasts “the smallest” pub on PEI — a half-dozen drinkers would be a crowd. 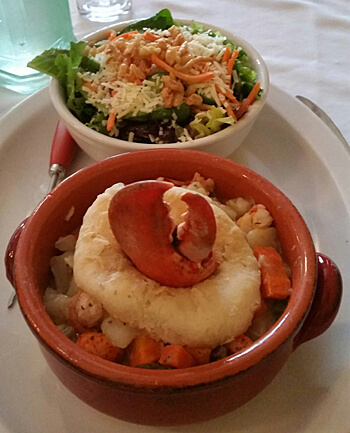 For my dinner in Three Rivers, I started with a trio of oysters and then enjoyed the inn’s signature dish, lobster pot pie. The name of the restaurant, Three Rivers, refers to the three tidal estuaries in this region of eastern PEI. The first French settlers called the area Trois-Rivieres, with a nod to the Brudenell, Cardigan and Montague rivers. 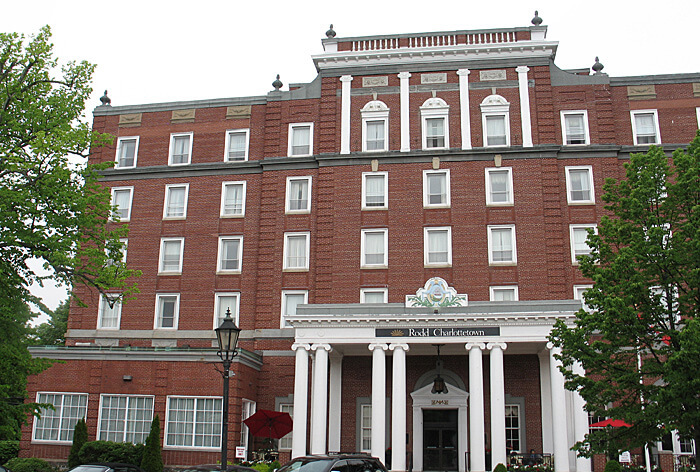 Each of the eight rooms in the Georgetown Historic Inn has a PEI theme. I wasn’t in the Green Gables Room (below, left — which includes a doll with Anne Shirley’s signature bright red braids and straw hat), but I was in the other third floor room, which had a Heritage Theme. I also peeked into a couple of the other rooms when they were between guests, including the Harbor Room (below, right). The inn is open year ’round. 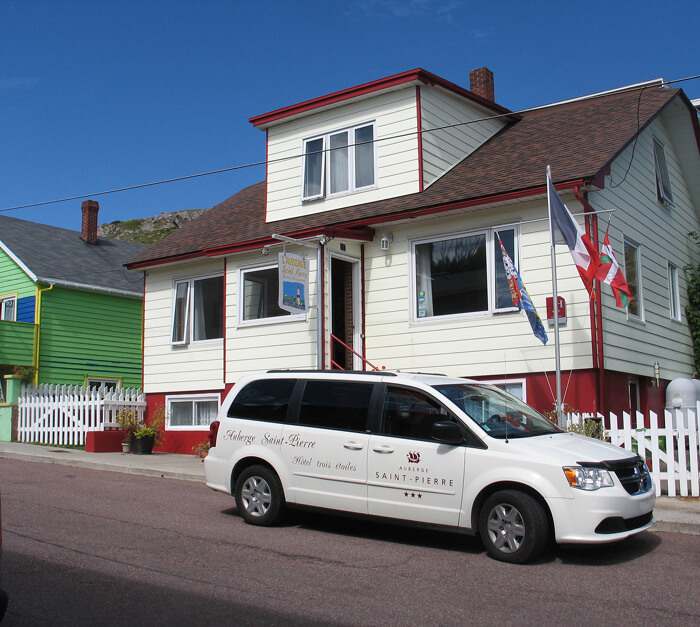 You can reserve a room via the PEI Tourism site or through one of the usual booking websites. In high season (June 1 through September 30) rooms range from $115 — what I paid in Canadian dollars for the Heritage Room — to $175 for the Captain’s room; all rooms include breakfast. Very informative and well written .